Just relaxing with a cup of tea by the fire. Ahh, this is the life haha. 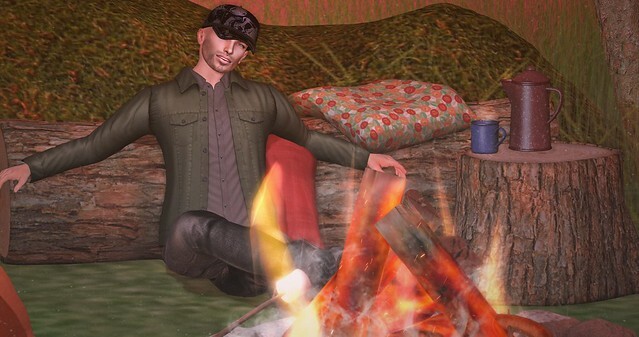 This campfire set is available at Sway’s main store as the spotlight item this month. It is 50% off for Sway’s V.I.P. Members and 15% off for everybody. The weather is getting a little cooler so had to wear this cool new jacket by Etham. It’s available at the current round of faMESHed!